We, Edassery hotels are a family – run heritage establishment from God's own country, Kerala. We have been into the business since 1990. Our businesses consist of a collection of resorts and hotels. In addition we have our own tea and rice mills. 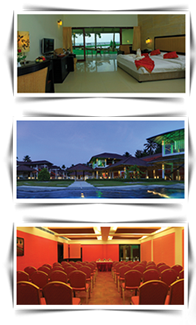 Edassery group has four main hotels; The Hotel Edassery Mansion at Kathrikadavu, Kaloor, Cochin, Edassery Resort at Kumily road, Kattapana and Edassery Kayal Resort at Kumarakom. All our hotels are keen on providing quality hospitality service by keeping in mind of the rich culture and traditions of Kerala. These hotels are set in beautiful tourist locations of Kerala. We help in making your stay unforgettable. Our entire visitors will be able to savour their time spend at our hotels. Our hotels/resorts make way for memorable staying and dining experience. Be it a family holiday, or a sumptuous dining experience, or a honeymoon trip our hotels are there offering excellent hospitality services.